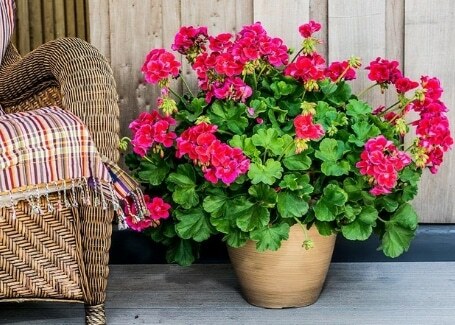 Creating beautiful bright displays in hanging baskets, pots or planters is a great way to add colour to any garden – even with a smaller space such as a window box or balcony, you can enjoy cheerful bedding plants, all summer long. Container gardening is fun for all ages – there’s no digging required and you can plant up your pots and baskets at the kitchen table if it’s raining, before choosing their final location. 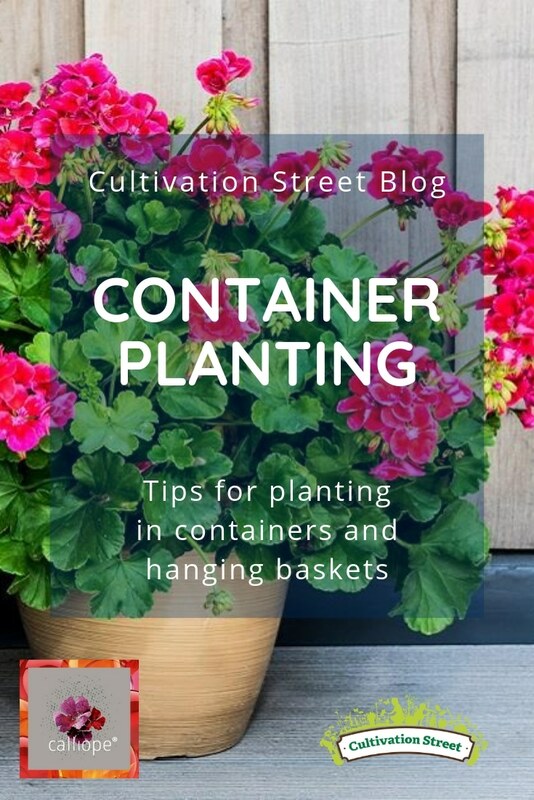 Smaller containers will limit root growth and also dry out more quickly, whereas much larger planters will be too heavy to move once you’ve added the compost, so they’ll need planting up on site. Hanging baskets with pre-cut liners make for easy planting and better moisture retention, or hanging pots can be a great alternative. 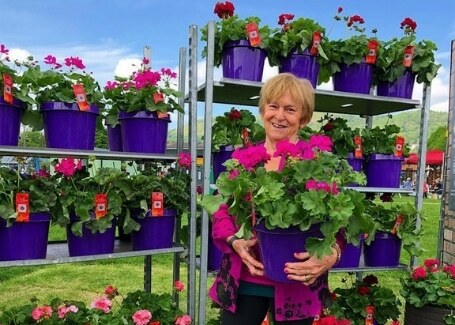 With so many types available, it’s easiest to look for a specialist hanging basket and container compost, with added sustained-release fertiliser and water-retentive granules, to create the best environment for your bedding plants. If you’re on a budget, you could use a good multi-purpose one instead, and mix the extras in before planting up. 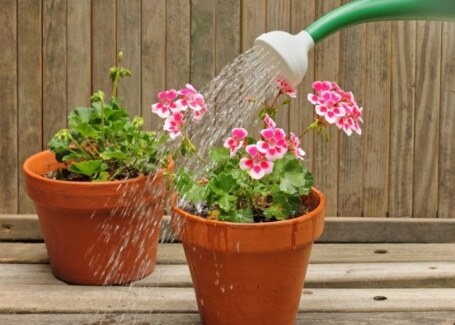 Containers need special care, to ensure the plants don’t become waterlogged. 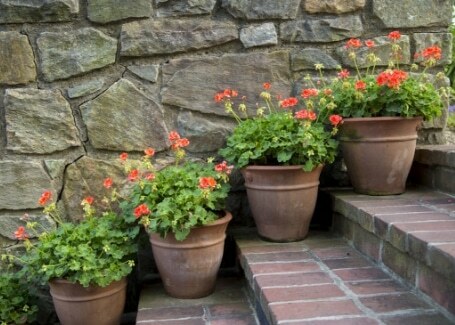 Check there are plenty of drainage holes in your pots or planters, and pop a double-handful of broken crocks or large gravel at the bottom of terracotta pots, before adding the compost, to ensure that excess water can get away from the roots. If you want a riot of colourful flowers and abundant growth, you’ll need to feed! There are plenty of easy ways to do this - either mix a sustained-release fertiliser into the compost before planting up, choose a specialist compost which has this added or dose your containers weekly throughout the growing season with a water-soluble bedding plant feed. Follow the manufacturer’s dilution instructions and be sure to avoid getting any feed on the foliage when the sun is out. Keeping the roots damp is really important, so that your pots and baskets look great all season long. Water in the early morning and evening, so you’re not getting the leaves wet when the sun is on them. Adding moisture-retentive granules to the compost can reduce the need to water twice daily, and using watering spikes with a reservoir at the top will slowly drip-feed moisture direct to the roots. It’s easy to get carried away with all the wonderful varieties available at the garden centre, so look for plants from two key groups. 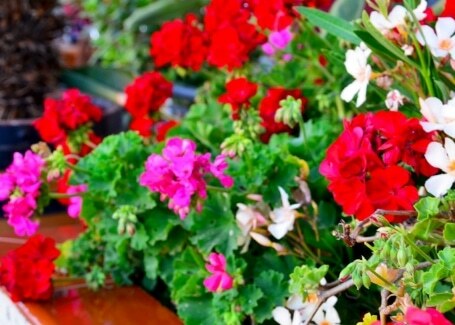 Around the edges of pots and lower down on hanging baskets, you’ll get great results with trailing varieties of lobelia, verbena or petunias. Pop a plant through each hole in the liner on the sides of your basket, or space them evenly around your pots, allowing for a little growing room. For the centrepiece, where you need height and spread with amazing flowers and continuous colour, pick a performer such as beautiful Calliope geraniums in complementary shades. For more #CalliopeMyLife advice and inspiration, click here.